Cancer research at the University of Aberdeen will be faster and more efficient than ever thanks to vital new equipment donated by the Gordon and Ena Baxter Foundation. 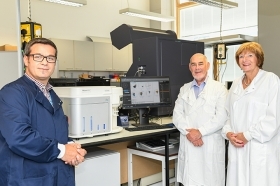 The charity have funded the purchase of a new £85,000 Attune Acoustic Focusing Cytometer – technology that can find cancer quicker by screening up to 30,000 cells per second. The cytometer is able to detect different kind of cells, such as cancer cells within blood cells, at speeds far greater than is possible with older equipment and can be used for pre-diagnosis in early stage cancer. There are between 3 million and 5.5 million cells in every millilitre of our blood. “We are very grateful to the Gordon and Ena Baxter Foundation for funding the purchase of this vital new equipment,” said Professor Steve Heys, Head of the School of Medicine, Medical Sciences and Nutrition at the University of Aberdeen. “Cancer cells are extremely difficult to find but with this new technology the process will be faster and more efficient, allowing us to scan for a wider range of cell types within a huge mixed population. The Gordon and Ena Baxter Foundation awards grants from the personal legacies of the Speyside couple, who led the world-famous food group for more than half a century. Foundation manager Kay Jackson said trustees were delighted the equipment had arrived in Aberdeen and was now carrying out its vital work. 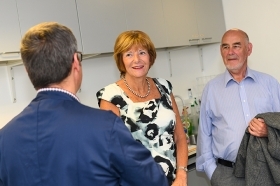 Kay said: “We know that one of three of us will be diagnosed with cancer at some point in our lives so we are very pleased to help researchers at the University of Aberdeen with their ground-breaking work. 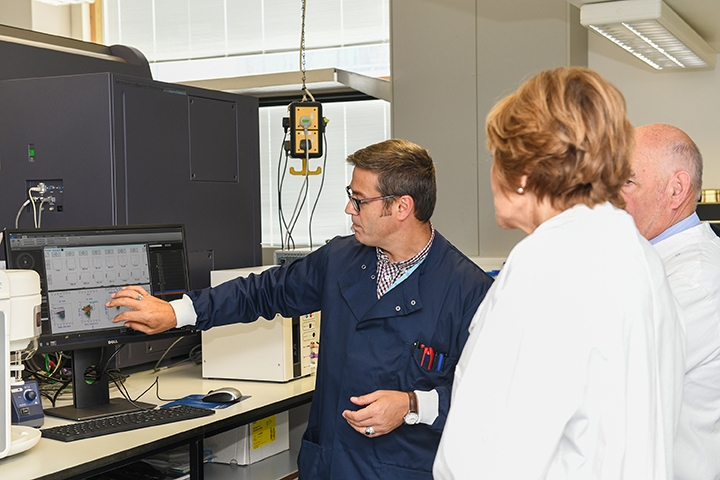 The development of new and more effective treatments requires a deeper understanding of cancer cells and this incredible machine will enable the team to closely examine specific types with much greater efficiency.